For another consecutive year, Razorleaf is proud to sponsor ACE 2017, Aras Corporation’s annual user conference in Nashville, March 21-23rd, 2017. 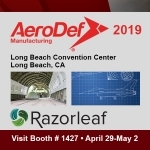 Razorleaf is a long standing Aras implementation partner and have been working with Aras Innovator from the beginning. ARAS recently published a white paper that outlines the product development challenges happening in the automotive industry. Manufacturers struggle to keep up with the acceleration of software and technology features that meet the growing needs of every driver – from performance handling to luxury items. Razorleaf will be sponsoring and exhibiting at ACE 2016, which is ARAS’ PLM User Conference in Detroit March 15-17, 2016. 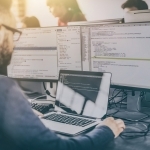 Aras recently announced the release of their Aras Component Engineering solution to help product developers make better component decisions early in the product lifecycle. Razorleaf will be attending the Aras Community Event 2012 at the beginning of May 2012 as part of our ongoing involvement in the PLM software community. The event, being hosted at The Detroit Marriott Troy, will be held in Troy, MI and focus on Aras Innovator and solutions built around the product.